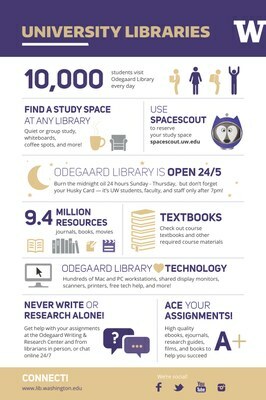 Did you know that Odegaard Library may have your textbook on Course Reserves? Check out our website to search for your textbooks. 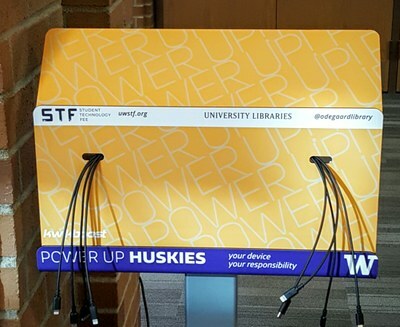 Student Tech Fee sponsored charging kiosks are now available for use in Odegaard. 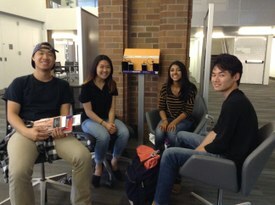 Students will find a kiosk on floors 1-3 in the library. 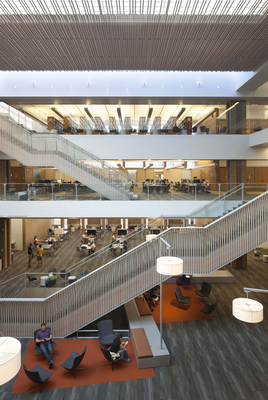 “Mirrorfold” is a sculpture of polished stainless steel located on the second floor of the Odegaard Undergraduate Library spanning 25 feet across and 9.5 feet tall. The sculpture is by John and Patricia Patkau, both principals in Patkau Architects, a Vancouver, B.C.-based architectural and design research studio.